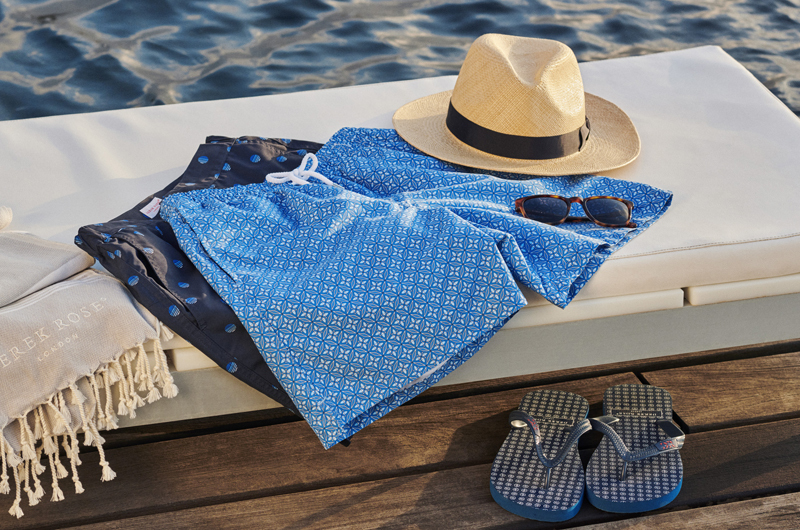 The perfect lifestyle and travel essential, our woven hammam towels are crafted from pure cotton for a fast-drying and stylish alternative to a beach towel. 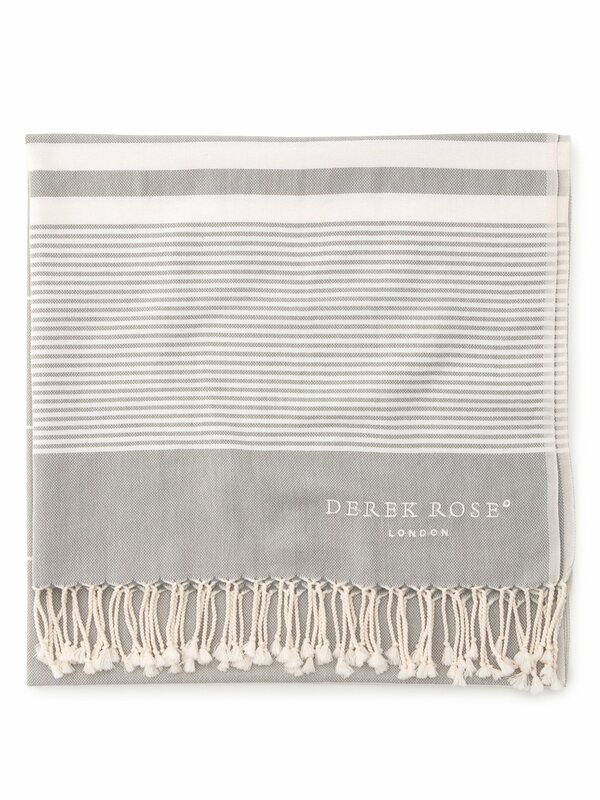 Featuring a striped pattern, with tasselled edges and the Derek Rose logo. Their lightweight and versatile nature means they can be neatly packed into your travel bag.